At 7:00 PM, Siegel will be interviewed onstage by WBOI’s Katy Anderson and Peter Dominowski, while sharing his insights on key events over the past 40 years…including the Cold War, the fall of the Berlin Wall, the Clinton Impeachment, 9/11, Brexit, and the election of President Trump. He’ll also take questions from the audience. At 12PM you can meet and chat with Robert in a small group setting while enjoying a gourmet lunch with other friends and fans of 89.1 WBOI and NPR! Reimbold and Anderson, a financial advisory practice of Ameriprise Financial Services, Inc., in Fort Wayne. and Wayne Press with additional support from Tribbett Financial Group of Wells Fargo Advisors. 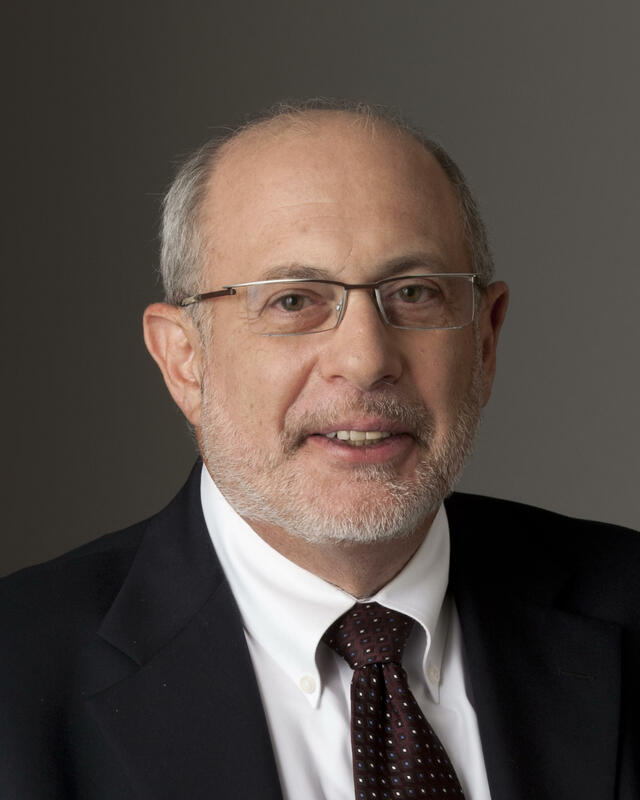 Prior to his retirement, Robert Siegel was the senior host of NPR's award-winning evening newsmagazine All Things Considered. With 40 years of experience working in radio news, Siegel hosted the country's most-listened-to, afternoon-drive-time news radio program and reported on stories and happenings all over the globe, and reported from a variety of locations across Europe, the Middle East, North Africa, and Asia. He signed off in his final broadcast of All Things Considered on January 5, 2018. In 2010, Siegel was recognized by the Columbia University Graduate School of Journalism with the John Chancellor Award. Siegel has been honored with three Silver Batons from Alfred I. DuPont-Columbia University, first in 1984 for All Things Considered's coverage of peace movements in East and West Germany. He shared in NPR's 1996 Silver Baton Award for "The Changing of the Guard: The Republican Revolution," for coverage of the first 100 days of the 104th Congress. He was part of the NPR team that won a Silver Baton for the network's coverage of the 2008 earthquake in Sichuan Province, China. Other awards Siegel has earned include a 1997 American Bar Association's Silver Gavel Award for the two-part documentary, "Murder, Punishment, and Parole in Alabama" and the National Mental Health Association's 1991 Mental Health Award for his interviews conducted on the streets of New York in an All Things Considered story, "The Mentally Ill Homeless." Siegel joined NPR in December 1976 as a newscaster and became an editor the following year. In 1979, Siegel became NPR's first staffer based overseas when he was chosen to open NPR's London bureau, where he worked as senior editor until 1983. After London, Siegel served for four years as director of the News and Information Department, overseeing production of NPR's newsmagazines All Things Considered and Morning Edition, as well as special events and other news programming. During his tenure, NPR launched its popular Saturday and Sunday newsmagazine Weekend Edition. He became host of All Things Considered in 1987. Before coming to NPR, Siegel worked for WRVR Radio in New York City as a reporter, host and news director. He was part of the WRVR team honored with an Armstrong Award for the series, "Rockefeller's Drug Law." Prior to WRVR, he was morning news reporter and telephone talk show host for WGLI Radio in Babylon, New York. A graduate of New York's Stuyvesant High School and Columbia University, Siegel began his career in radio at Columbia's radio station, WKCR-FM. As a student he anchored coverage of the 1968 Columbia demonstrations and contributed to the work that earned the station an award from the Writers Guild of America East. Siegel was the editor of The NPR Interviews 1994, The NPR Interviews 1995 and The NPR Interviews 1996, compilations of NPR's most popular radio conversations from each year.